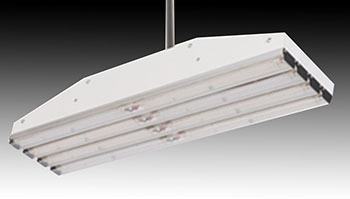 Pendant mounted LED Hi-Bay lighting fixtures available in 2 or 4 foot. Available in 5000k color temperature and comes standard with a 5 year warranty and 100,000 hour rated lamp life. Poly-carbonate protective diffuser.